b. c.1560, 4th s. of Thomas Phelips† of Montacute by Elizabeth, da. of Matthew Smith of Bristol. educ. New Inn; M. Temple 1572, called 1578. m. (1) Margaret (d.1590), da. of Robert Newdigate of Newdigate, Surr., 2s. ; (2) Elizabeth (d.1638), da. of Thomas Pigott of Doddershall, Bucks. Kntd. May 1603. J.p. Som. from c.1591, custos rot. from c.1608. Bencher and Autumn reader, M. Temple 1596; King’s serjeant 1603; justice of common pleas, Lancs. 1604; master of the rolls 1611; ranger of royal forests 1613. Speaker of House of Commons 1604-11. 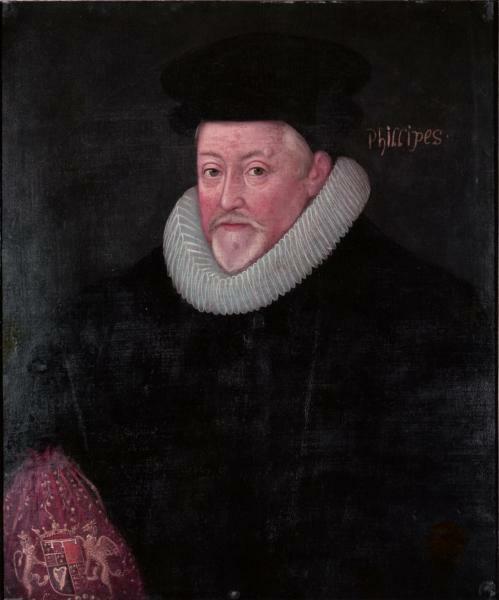 Phelips, the builder of Montacute, was a lawyer related to the Horseys of Dorset, and friendly with Thomas Gorges and (Sir) Walter Ralegh, though appearing for the government at the latter’s trial. He was first returned for Bere Alston, no doubt through the influence of the dowager Marchioness of Winchester, who in her will of 1586, left him £10, ‘for the good counsel he hath given me’. Another of his clients was the 2nd Earl of Pembroke, who was high steward of Weymouth, where Phelips was returned in 1586. His relative (Sir) John Horsey was sheriff of the county at the time and his uncle had represented the borough in 1554. Phelips’s return for Penryn in 1593 is difficult to explain. The patronage there was in the hands of the Killigrew family, who had some influence at court, and Phelips may have obtained the seat through a common acquaintance there, perhaps Sir Walter Ralegh, lord lieutenant of Cornwall and warden of the stannaries. After sitting for Andover in 1597, presumably through the influence of the Sandys family, Phelips achieved a county seat in 1601.
so after long dispute till almost one of the clock, it was put to the question, whether it shall be repealed by the general law of repeal and continuance of statutes. And the most voices were ay, ay, ay, and so it was agreed. Philips was re-elected for Somerset in the first Parliament of the next reign, and became Speaker, when he earned the reputation of being too closely aligned with the court. 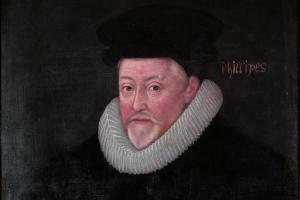 He died 11 Sept. 1614. DNB; Vis. Som. (Harl. Soc. xi), 85; SP14/33; St. Ch. 5/C21/26; E. Edwards, Life of Raleigh, i. 428-9; PCC 32 Windsor; Townshend, Hist. Colls. 103, 107, 119, 122, 198, 246, 285, 291; D’Ewes, 416, 476, 477, 478, 481, 561, 575, 578, 581, 587, 622, 624, 626, 631, 642, 647, 649, 679, 681, 685.